You may wash your head (or beard) very gently after 72 hours from the procedure: by applying the special shampoo on all your head (or beard) (covering both grafted and donor sites) very softly and keep it for 10 minutes. Then, you wash your head with warm water WITHOUT any pressure or rubbing movements on the grafted area. Water pressure must be very smooth and do not let the shower spray hit directly on the grafts. This can most easily be accomplished by filling a container such as a large measuring cup or pitcher with warm water from the tap; pour the water so it hits the non-grafted portion of the scalp (either the front or the back) NOT ON THE GRAFTS. Allow the water to run over the grafts wetting the entire head. 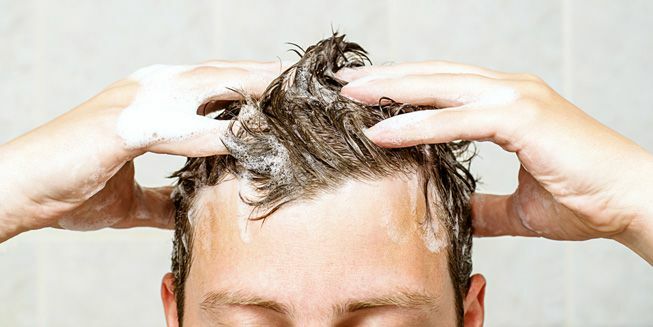 Re-apply the special shampoo again and wash it directly as mentioned without waiting for 10 minutes. Allow the hair to air dry (DO NOT USE A HAIR DRYER).